An angry and frustrated Kate Davidson and friends arrived in Canyon Beach, Oregon to help Kate’s boyfriend Michael to get a divorce from his wife, Gabrielle. He married her before he met Kate to help her stay in the United States. Gabby was afraid to return to Mexico because of domestic abuse. Gabby wants a large sum of money for the divorce. Kate and Bella find her body and Michael has no alibi. Michael is arrested for the murder. Bella and her animal friend add humor to the tale. Her actions put Bella in danger. Kate must work fast before she loses both Michael and Bella. 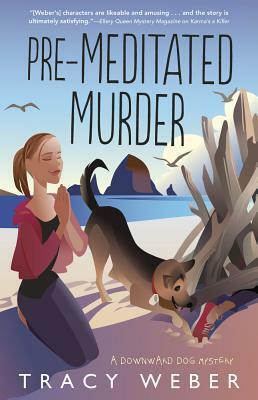 This entry was posted in #NetGalley, Books, Uncategorized and tagged cozy mystery, domestic abuse, Favorite, Green Card, Kate, Tracy Weber. Bookmark the permalink. Can’t wait to get to this one! I think it is the best one so far. It is great. It was released today. Just added the first of this series to my list. I agree, this is such a great series.